Fall is a busy time of year when it comes to home renovations; summer comes to a close, kids go back to school, and you start to think ahead to the holidays, when friends and family may be knocking on your door. If you are planning a home renovation, these tips will help you plan and prioritize. 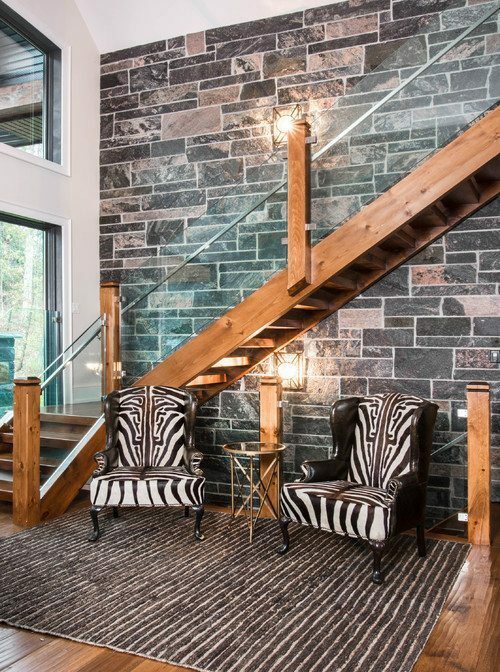 If you are planning to renovate your home you can create almost any look, but unless you are completely changing the natural architecture of your home, you want to make sure your style blends with the home. For example, if you have a Southern Plantation, it might be hard to make it look like a New York City penthouse. 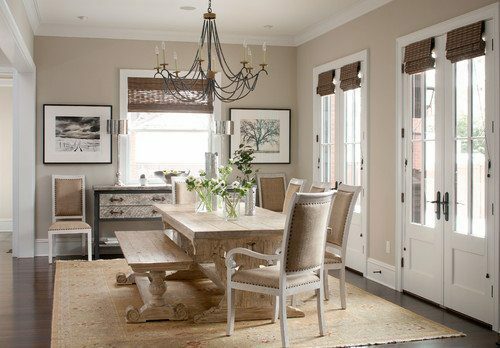 There are ways to tastefully blend styles and this is where an Interior Designer from the ASID can really come in handy. They can help you incorporate your favorite design elements into the existing style of your space, so you can achieve the desired outcome, seamlessly. As you are outlining your home renovation budget, take this quote to heart. It can be very tempting to cut corners and opt for less expensive materials. But you should be very strategic about what elements you choose to cut or replace with less expensive alternatives. If you are trying to reduce cost, cut items out that will not impact the overall design of the space, and which can be easily added down the road. For example, a kitchen backsplash, cabinet hardware, hidden water bubbler, unnecessary built-in cabinetry, or high-end marble tile. Don’t cut corners on things that have the most “staying” power like high-quality cabinet construction or hardwood floors . Whether you are painting a wall or ordering new wood floors you must always measure the space twice. This is especially important with custom products, or those that require a minimum order, so you can avoid set up fees for small orders down the road. If you are ordering flooring, you also want to factor in the right cutting allowance, typically 10% is sufficient, depending on the type and quality of the flooring you are using. There are some projects that are perfect for a DIY enthusiast – painting walls, hanging wallpaper, moving furniture, and maybe even some light wood staining or finishing. After all, it is a great way to save money and reduce your overall renovation budget. But there are definitely some other tasks that are better left to professionals. Large items like structural changes, electrical, plumbing, or roofing, is an exacting job and potentially dangerous. If it is not done properly it can lead to larger, and more costly issues, in your home. You are better off spending the money now, to work with a professional. Space planning is going to help you define your room and furniture layout so you get maximum benefit from your new space. It can be something simple like the size and location of your island, or billiard table. 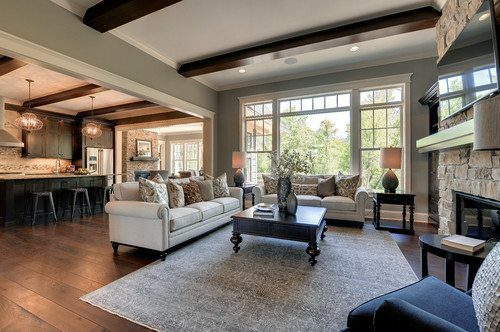 It can be more dramatic putting together an entire layout for your open floor plan. 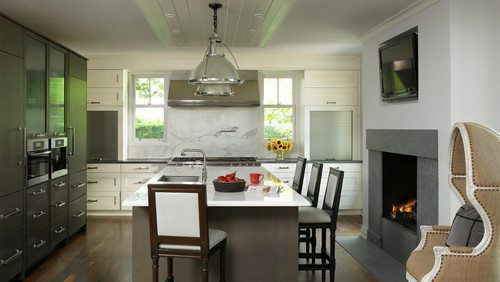 Check out this article from interior design Natalie Myers on Houzz.com on the primary considerations for developing a good space plan. It is very common to dive into home décor trends because they look good today…think shag carpet, entryway chalkboards, and mint green appliances. But the big question you need to ask yourself is will these items be timeless and trendy tomorrow so you love all your selections 10 years from now. Keep in mind that furniture and wall colors can be trendy, but big items like your wood floors, your kitchen cabinets, your non-painted walls and other “hard surfaces” should be comprised of products that won’t go out of style next year. 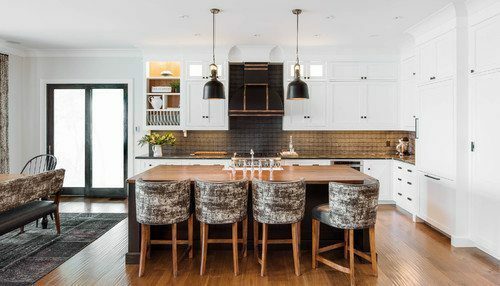 In this kitchen, for example, Check out the distressed wood floors and white kitchen cabinets are timeless, the island seating, pendant lights, and hardware could easily be updated to change up the look. When you are starting to plan for a renovation project the single best thing you can do for yourself, and your sanity, is assume it is not going to go smooth. Some people make the mistake of planning down to the last day when their project will be complete and then planning other elements around that — think winter break ski vacation, birthday party or holiday gathering. As the saying goes, “plan for the worst and hope for the best”, and you will minimize your level of stress, to make your renovation more enjoyable. According to the website Regreen Residential Remodeling Americans spend about $200 million a year remodeling their homes. the 10 years ago Green building products were synonymous with being expensive and the homeowner may have shied away from them because of this. But, green building products are much more mainstream today, and available in a variety of price points, making them more accessible. Utilizing green building products is a great way to minimize your eco-footprint, but also reduce the costs of running your home. Simple things like water collection and preservation can reduce water usage. Solar energy will minimize electricity usage, and you may even get paid for your solar energy. Eco-friendly insulation can keep your house cooler, or warmer, depending on where you live, naturally. 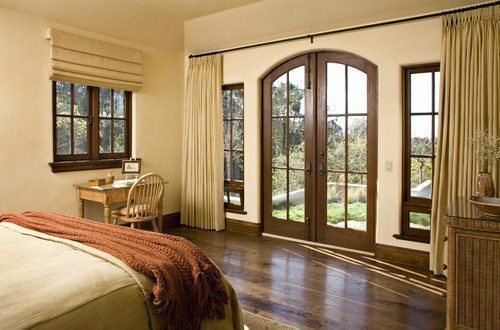 The most common architectural elements you will choose for your renovation are your windows, doors, and floors. They are hard to replace down the road, so you want to invest in quality. When it comes to windows, you want to select high-quality styles that suit the interior and exterior design of the home and space. They should work in tandem with the natural lighting of the property and offer easy access and function. Construction technology today gives you access to high-quality windows that are efficient too. Mediterranean Bedroom by Carmel Architects & Building Designers Claudio Ortiz Design Group, Inc. When you are selecting doors, you want to choose styles that offer beauty and function to the space. Make sure they are wide enough to accommodate multiple people, especially if it’s a main entry or throughway. Like your windows, make sure they are efficient and sturdy. When selecting floors consider the environment they will be installed in and exposed to. For example, slate or tile may work best for your mudroom and laundry room, but prefinished hardwood flooring is perfect for your kitchen and common areas since they are so easy to keep clean and maintain over the years. According to Real Estate expert Josh Garskof of Money.com, there is a certain equation you should follow to make sure you set the right overall budget for your new space. It is based on two factors. One, the room you are remodeling. Two, the overall value of the home you are remodeling. You want to invest in a renovation, that will add value to your home, but not increase it so much that it does not fit in with the value of your neighborhood. For example, in a $750,000 house, you want to spend between $75,000 – $112,500 on a new kitchen, or about 10-15% of your home’s value. Your designer or builder should be able to help you set up a budget. But you want to make sure you include the items that are most important, and which will bring the most value to your space. For example, choosing the right cabinets and wood floors are going to have more long-term value, whereas your cabinet and sink hardware are lower on the priority list, especially since they can be updated so easily down the road. If you are looking for new floors your renovation, let us help you find the perfect one. Request our free color catalog today! Get custom color samples within 7-10 days. Contact us to speak with a Carlisle Wide Plank Specialist about your project and the look you are trying to achieve. We can provide you with flooring and color recommendations to help you create the perfect look. Get custom color samples to help you with your final selections.